11.10.2015. King Power Stadium, Leicester, England. Rugby World Cup. Argentina versus Namibia. 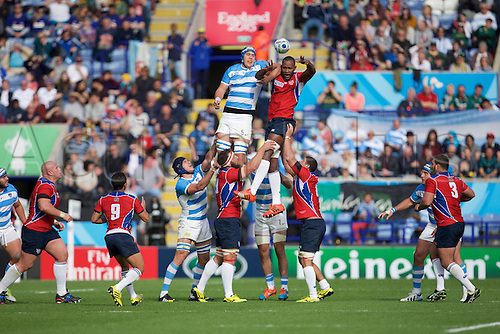 Namibia lock Tjiuee Uanivi wins a line out from Argentina lock Matias Alemanno.